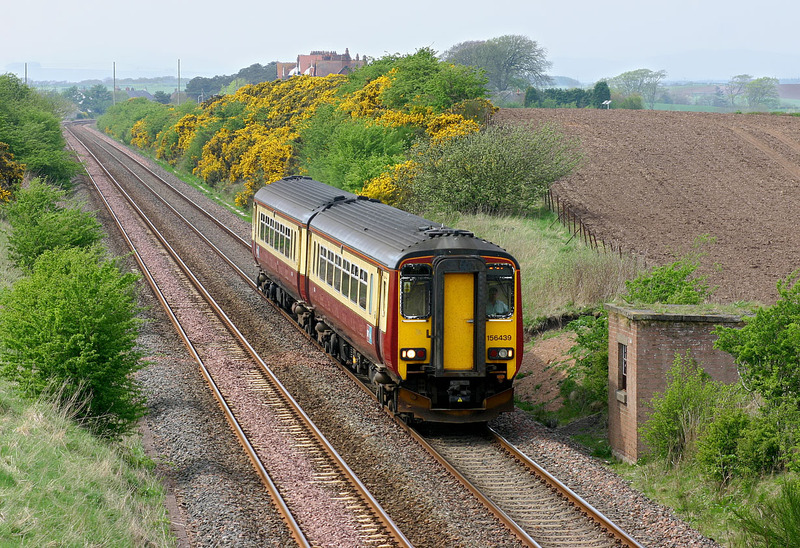 156439 passes Powfoot (near Annan) with the 12:03 Glasgow Central to Carlisle First ScotRail service on 6 May 2008. Although a sunny day, in southern Scotland there was a layer of misty high cloud that not only reduced the distant visibility, but also completely flattened the lighting. Note the very weak shadows here.